Logitech Advanced Optical Tracking technology Improved LED light positioning makes this optical mouse more responsive and accurate. 2.4GHz wireless connection 5 buttons Provide access to frequently used commands and functions for powerful control. Scroll wheel Enables smooth, fast movement. This mouse connects to your computer using a wireless USB receiver and works up to 33 feet away. Works across a wide array of computers. Based on the best-selling shape in the world, the contoured shape with textured rubber grips keeps your hand happy—even after long hours. 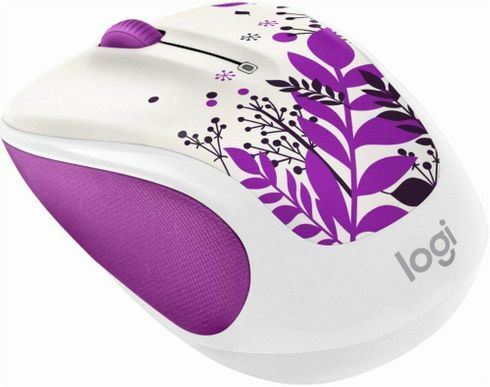 Combine fashion and function with this Logitech Party Collection wireless mouse. It's small, compact, responsive and reliable from up to 33 feet away for added workspace freedom, and its preinstalled battery lasts up to 18 months for uninterrupted use. *Battery life may vary based on user and computing conditions. 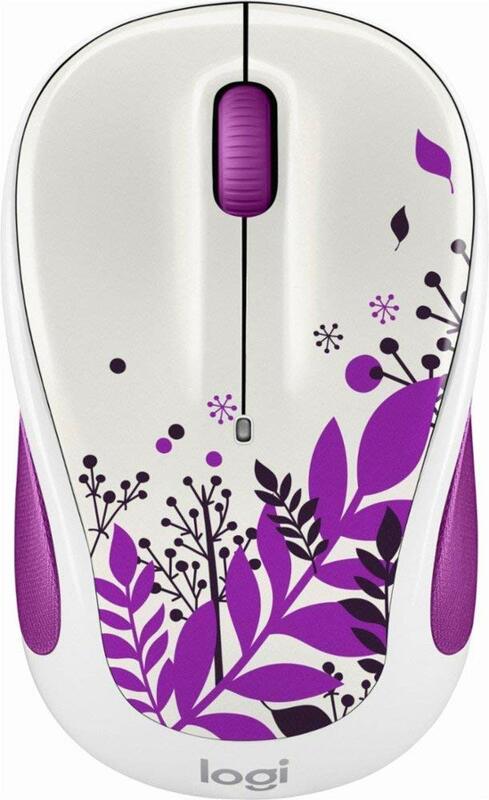 * This Logitech Party Collection wireless mouse has a fun, colorful design to match your personal style. This mouse glides very smooth and is very easy to use. I have six of these now, and they all work well. I do find that the older ones (several years) occasionally stop working, but all it takes to get them working again is to remove and reinsert the battery. The battery is a single aa cell and lasts a long time, of the order of a year. Another good mouse for my small hands. Works just fine either as a portable mouse for laptops or a desktop mouse. I can use this on or off a mouse pad. Playing games online is as well a plus for this mouse. So easy to start using. Bought one for my sister as well. One of the best mouse i have used so far. Losing quality by the day! I had 4 logitech mice stopped working in a span of little over a year. Earlier they used to work great for a very long time but not any more. Time to find some other brand that endures! Does the job. Don't recommend for fast paced games.